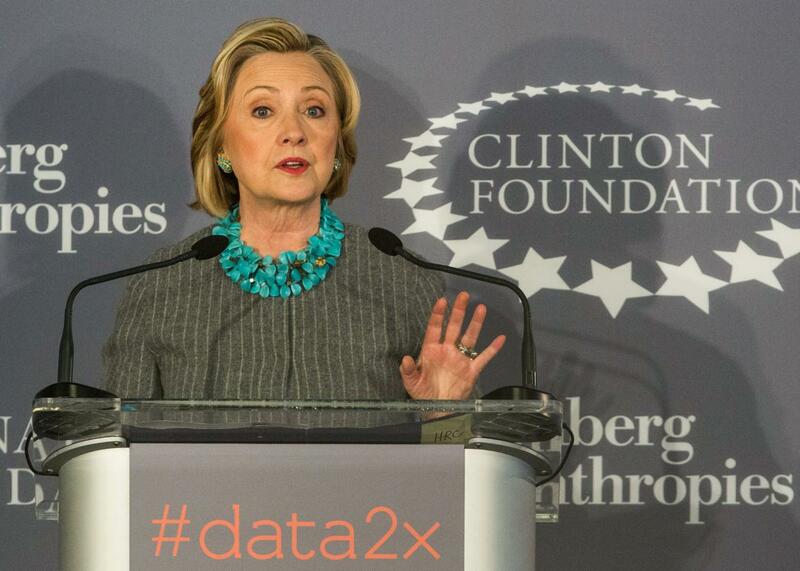 Clinton Foundation scandal: AIDS relief work is a success. The Clinton Foundation Is Not a Scandal. It’s a Phenomenal, Life-Saving Success. The Clinton Foundation isn’t a scandal or a slush fund. It’s an astonishingly successful charity that saves millions of lives. The Associated Press published an investigation Tuesday, alleging that Hillary Clinton gave donors to her family’s charity, the Clinton Foundation, special access to the State Department during her tenure as secretary of state. Vox’s Matt Yglesias promptly detailed the article’s many flaws, exaggerations, and outright falsehoods—including a thorough debunking of its claim that a majority of people Clinton met with as secretary of state were Clinton Foundation donors. But the AP article’s thesis, that Clinton ran a pay-to-play scheme through her foundation, quickly made the rounds in the conservative press and wound up in a Donald Trump speech. Inevitably, the faux scandal migrated to mainstream outlets, and editorial boards began calling for the Clintons to shut down the foundation or sever their associations with it. During his presidency, Bill Clinton made little effort to combat AIDS in developing countries, where the disease takes the most lives. He hoped to make up for this shortcoming after leaving the White House by putting AIDS relief at the forefront of his new charity. This effort turned out to be an astonishing success. Through his foundation, Clinton launched AIDS initiatives in more than two dozen developing countries, placing nurses in rural clinics, training hospital managers, purchasing drugs, and negotiating huge price cuts for critical AIDS medications. Clinton often worked in sync with President George W. Bush, whose global AIDS initiative was the most admirable, effective, far-reaching AIDS program ever spearheaded by an American president, including Barack Obama. (Many very liberal HIV-prevention leaders still revere Bush’s AIDS work in developing countries and rue Obama’s failure to maintain Bush’s level of investment.) The Clinton Foundation’s biggest victories involved price renegotiation and expanded access to treatment. As a direct result of the charity’s work, more than 11 million people in developing countries today have access to vital AIDS medication, many of them children. That’s a lot of lives to save. How did the Clinton Foundation pull off this miracle? By doing what myriad successful charities do: Taking large sums of money from wealthy people and regimes and redistributing it to poor people. Yes, some of these people have an awful track record on human rights. But if American charities did not take money from some very bad people, there would be remarkably few American charities operating at all. The primary charge lobbed by the AP story, of course, is not specifically that the Clinton Foundation has unsavory donors, but that Hillary gave donors special access when serving as the country’s chief diplomat. Given American politics’ constitutionally protected focus on pay-to-play access, this allegation may sound plausible—but in reality, it’s ludicrous. The AP’s best evidence of unethical behavior is that Clinton attempted to assist foundation donor Muhammad Yunus when he was being investigated by the Bangladeshi government. Yunus is a renowned philanthropist who revolutionized microcredit as a means of lifting women in developing countries out of poverty. He has received the Nobel Peace Prize, the Presidential Medal of Freedom, and the Congressional Gold Medal. The Clintons have worked with Yunus since the early 1980s, and the Bangladeshi government was investigating him because it feared he might establish a powerful opposition party. In other words, Clinton used her position as secretary of state in an effort to assist a globally celebrated philanthropist reportedly facing unfair government intimidation. And that is the AP’s smoking gun. Oddly, even reporters like Yglesias who have defended Clinton against the AP’s charges have also casually called for the Clintons to shut down their charity, or at least to completely disassociate themselves from it. This entreaty is easy to make; it is also dangerous and wrong. As John Aravosis has written, if the foundation closed shop altogether, millions of people in developing countries could lose access to life-saving AIDS medication. If the Clintons severed all connections to the charity, as the Los Angeles Times urged, it would lose a great deal of its prestige and leverage, inevitably resulting in a shrinking budget and fewer programs. Look, I get it. Most Americans not named Bush or Clinton don’t spend much time thinking about the plight of impoverished people with AIDS in developing countries whose lives depend on access to wildly expensive drugs. The Clintons’ press paranoia prevents them from properly defending their charity work, allowing Weekly Standard-types to manufacture the stench of scandal. And yes, life might be easier for Hillary Clinton’s defenders if her family hadn’t launched a foundation that is intertwined with a global network of high-powered philanthropists. But the Clinton Foundation’s work is so much more than an election distraction: It is the source of salvation for millions of people. The Clintons’ AIDS relief work is humanity at its best. And the smear campaign against their charity is politics at its absolute worst.